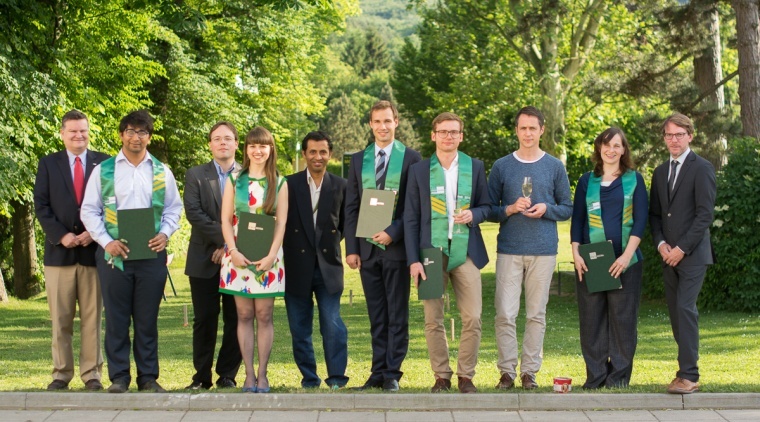 Our distinguished alumni have gone on to successful careers after their PhD studies at IST Austria. PhD students receive support through our mentorship and career development programs which focus on training in transferable skills for academia and beyond. Throughout their studies, PhD students are supported by Career Services, which provides career development advice and training. For more information, please visit the Career Services webpage. There are also regular TWIST talks organized by the Technology Transfer Office, which aim to support researchers in the commercial development and use of their research results. For more information, please visit the Technology Transfer webpage. Where do our alumni go? 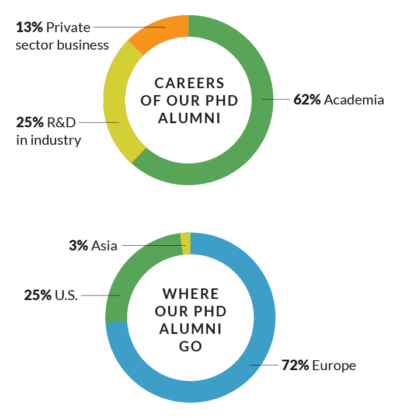 This infographic shows where our alumni go after they graduate. 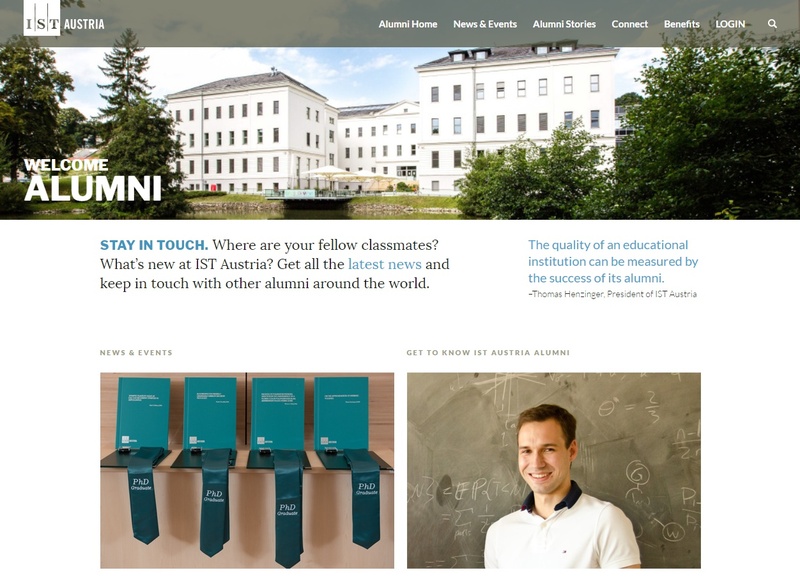 Through our “Stay in Touch” initiative, there are various ways in which our alumni can benefit from continued connection with IST Austria. To explore what the Alumni Office has to offer, please visit the new alumni website.